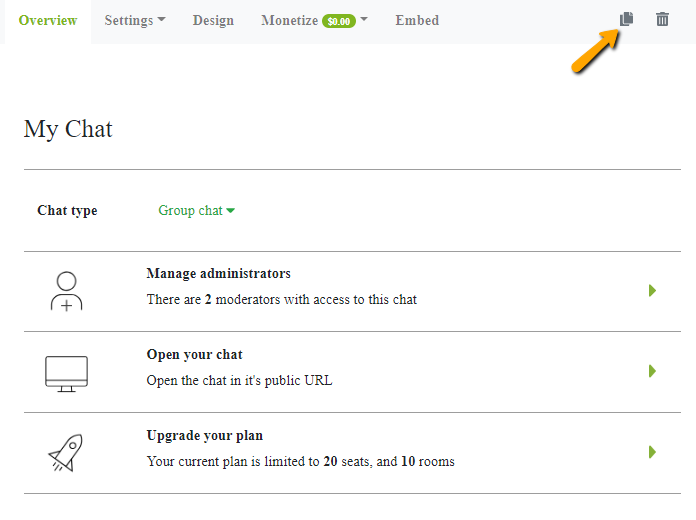 If you need to copy an already existing chat including the design, the settings, and even the banned IP list, you can do it with a click. 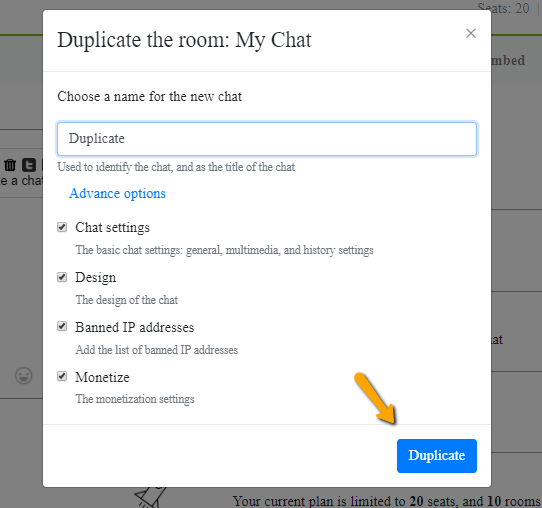 Click on the top right duplicate icon and follow the instructions. 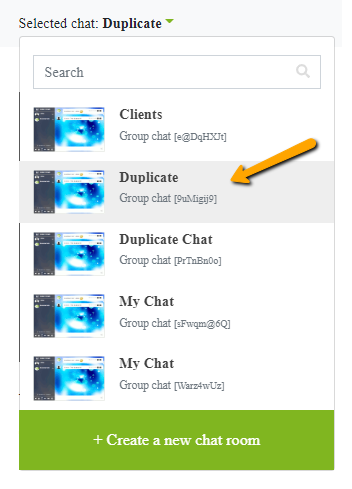 Previous postHow to change the mobile user’s list background color? Next postHow do I change the email address associated with my RumbleTalk account?